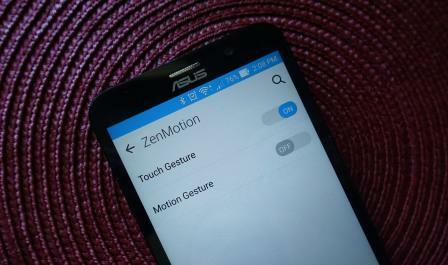 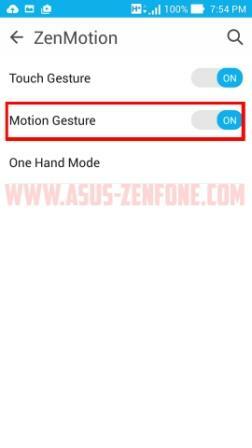 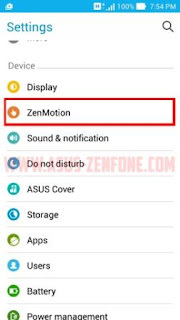 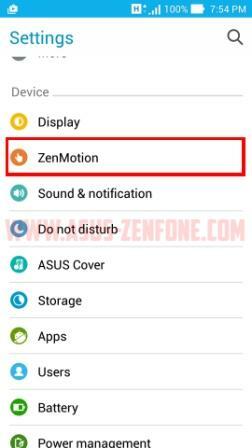 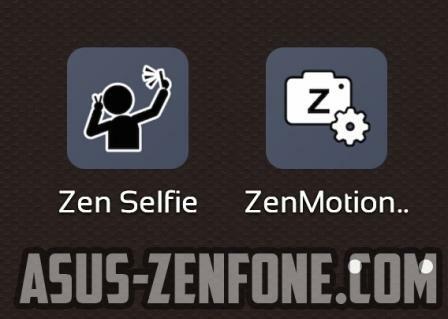 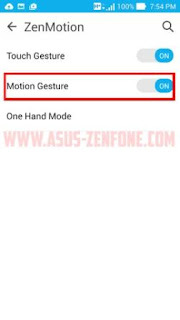 ZenMotion basically houses all of the gestures that ASUS has built into the Zenfone 2. Which aren’t many, and there’s actually only two. 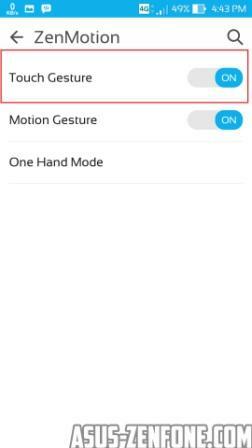 That’s Touch Gesture and Motion Gesture. With Touch Gesture, When the screen off, you can draw a letter to open up a specific app. For example, if you draw an S on the screen, it’ll turn on and launch the Messaging app. 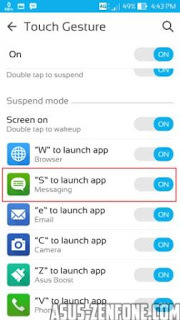 You can customize which apps are opened, but not the letter you draw to open them. 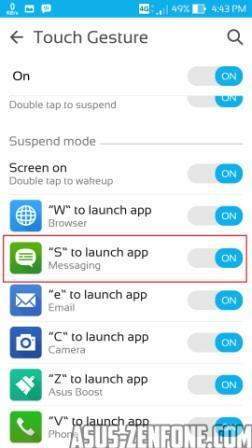 So for example, I could change the S to open Hangouts, but I can’t change it to another letter. The letters you can use are W, S, e, C, Z, and V, with the only lower case letter being the e.
After Zenfone 2 Latest Update, ASUS give us new ZenMotion feature called 'Hands up'. 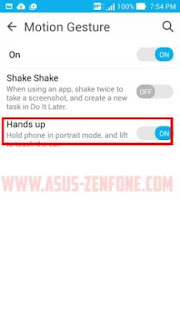 With This feature you can accept call without touching the screen, just Hold phone in potrait mode, and lift to touch the ear. How to set up this feature? 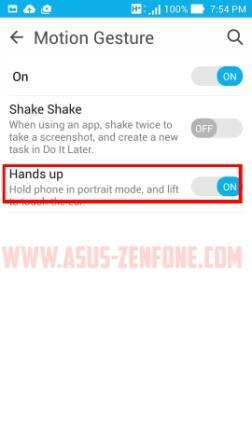 Follow these steps by Asus Zenfone Blog. 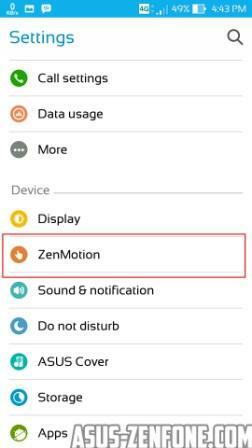 By drawing letters on screen in sleep mode, you can simultaneously wake up the phone and activate appointed apps instantly. Note: If you have set screen lock, excluding "Swipe", on your phone, you need to unlock your screen first before the appointed app is activated. 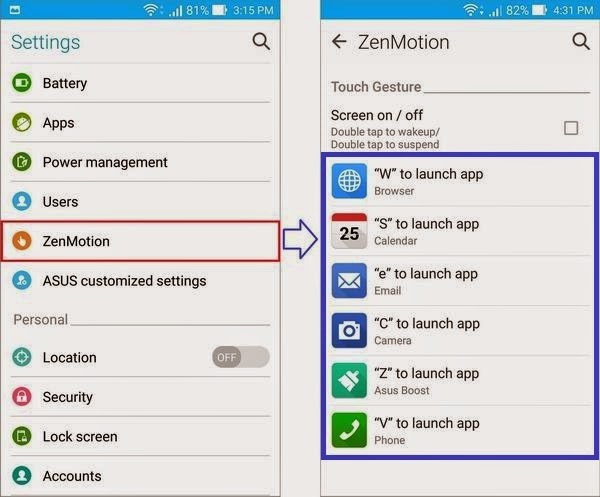 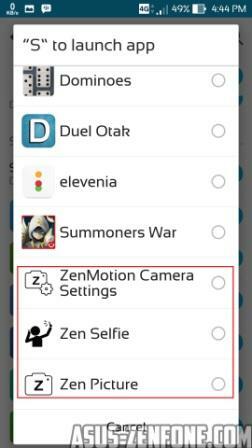 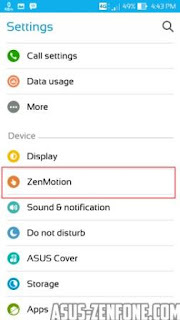 Go to "Settings" -> "ZenMotion", and you can see the 6 gestures and their corresponding apps.